If You use Google’s public DNS server or OpenDNS server, you may notice little bit extra speed on your Broadband Internet connection or dial-up internet connection. The web pages will load quickly and YouTube Videos will load much faster that before. 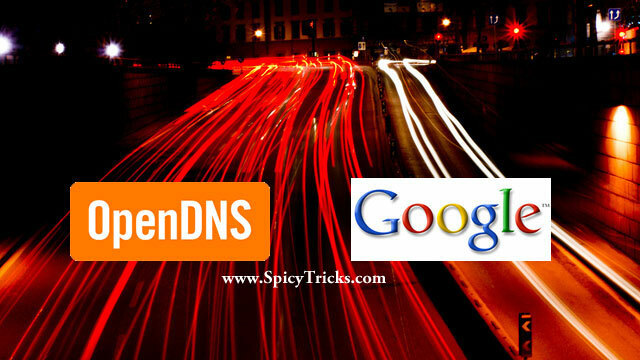 If you are using your ISP’s DNS server as default, now it is the time to change it to Google’s Public DNS or OpenDNS. Google DNS server and Open DNS server are working with the content Delivery Networks (CDNs).When you request the webpage those DNS servers will attach your location data also in the DNS requests, so that you will be connected to nearest possible server-based on your location. To use Google’s Public DNS service or OpenDNS, you’ll need to configure your router or computer to use their DNS servers addresses. How to set up or Configure Google Public DNS server? With OpenDNS, you’ll also get additional services like malware detection, stats, and more, in addition to the speed boost.